StarTech StarTech Serial ATA Cable with Power Adapter 18"
Make your migration to Serial ATA easy and hassle-free with the StarTech.com SATA18POW, a combination data/power SATA cable from StarTech.com. With data transfer speeds up to 150 MBytes/sec and a new and improved architecture, Serial ATA hard drives, CD-ROMs, CD-RWs, DVDs, and removable storage devices are quickly gaining popularity. 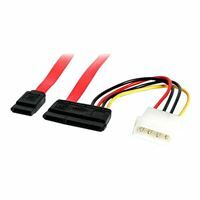 This innovative cable provides you with the connections you need to get your SATA devices up and running. The data segment of the cable uses the 7-pin SATA architecture to keep the cable ultra-thin, narrow, and flexible, giving you more room and better airflow inside your case. To power your drive, the SATA18POW features a convenient 15-pin SATA to 4-pin LP4 adapter that lets you connect your SATA drive to your existing power supply. 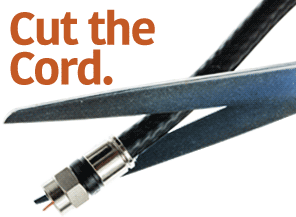 SATAs keyed connectors prevent broken or bent pins and allow a firmly seated connection with minimal pressure. StarTech Serial ATA Cable with Power Adapter 18"